Image Credit: Brian Bowen Smith/The CWI never pass up the chance to do the following: 1) Type “Supernatural” into a post. 2) Talk about a good-looking man (this usually accompanies No. 1), or 3) Link to photos of a hot guy in a post. In sum: You knew this post was coming. Today, Jared Padalecki turns 28, and my gift to him is a haircut free of charge. (Disclaimer: I never have and don’t plan on ever attending beauty school. But I will take him somewhere nice.) Why this sudden concern with his follicles, you ask? Well, while I personally love his grizzy look (manly, no? 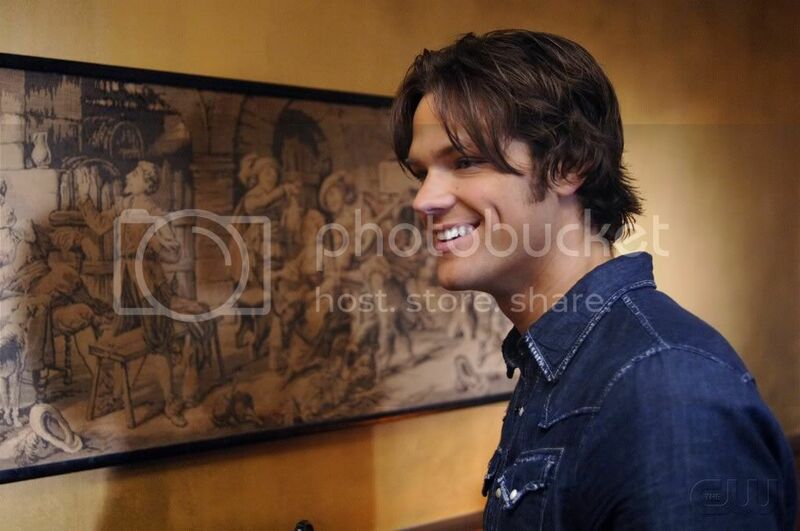 ), I’m not digging the ‘do in the recent YouTube video of him that was posted from the set of Supernatural season 6. It’s too styled. I prefer wild-haired Sam or the boyishly-handsome look. Yea. Those are more like it. Anything is better than what was going on at the end of season 5. Seriously. So, Jared, come claim your prize. Meanwhile, I’m going to go back to over analyzing male TV star hairdos. And you, PopWatchers, can tell me which season you think Jared/Sam had the best hair so I don’t feel like such a freak — or just wish him a happy birthday. Or do both. Nathan Fillion, Feel free to stop by! 'Enterprise' vs. the Death Star: Place your bets! 'Inception' infographic: It's like CliffsNotes for your mind! Happy 'Twilight Zone' day! May your voyages remain gremlin-free! 'Falling Skies' season finale: Showrunner Remi Aubuchon answers your burning questions!